The perpetually sunny skies of Southern California also come with a perpetual rainbow if you look upon the Sony Pictures (formerly MGM) lot in Culver City. This bow doesn’t come from rain, though, which is lacking in these drought-ridden days, but is a permanent steel structure arching over part of the eastern edge of the studio. When I first noticed it upon moving to the area, I assumed it had to do something with The Wizard of Oz, which was famously filmed on the old MGM lot where Sony now headquarters its film business, and featured Judy Garland’s signature tune “Somewhere Over the Rainbow.” This was confirmed during a studio tour, but what was news to me was that this was a mandatory rainbow, one that law dictated be there. Sort of. 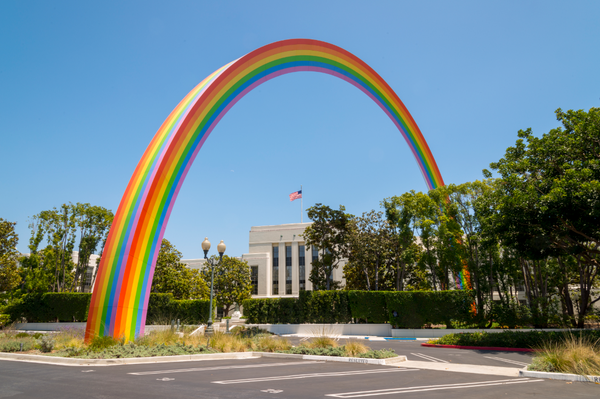 Culver City is home to a nifty program that makes this rainbow’s existence one of codification, but the program is not particularly unique. Many cities in the U.S. have ordinances stipulating that a certain percentage (1% being the most popular figure) of capital improvement construction costs go to funding public art, either by making public art part of the project or by donating to some sort of public arts fund. In the case of the aforementioned rainbow, Sony wanted a parking garage; Culver City in turn got a rainbow. 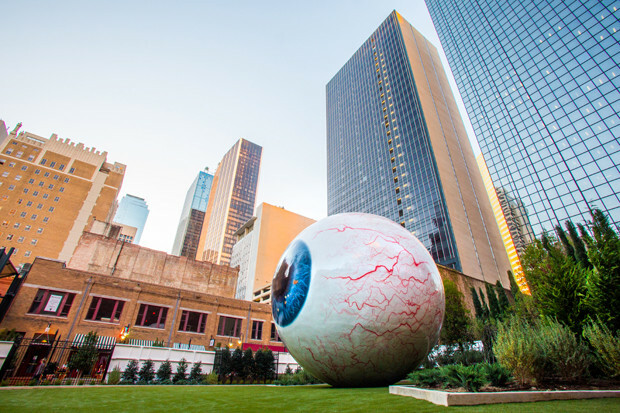 I am all for giant rainbows and eyeballs being neat just because they’re giant rainbows and eyeballs, and for city ordinances that not only allow for such things to exist in our environment, but insist that they must! With Pride Month in full swing, and optical rays of color cropping up on scarves and at the Venice Biennale (not to mention our new profile picture), we’re all about the rainbows. Check out our new collection of art for Pride Month. Dustin Meyers is a Sales Advisor at Saatchi Art.